"Oh great." I hear you say. Yes, this is another article about consumerism in healthcare. McKinsey, Forbes, Deloitte, NYTimes, Harvard Business Review, you name it – industry leaders and commentators have all called this trend in recent years, and consumerism was a hot topic at HIMSS. But the truth is, this conversation started at the turn of the century. A healthy economic market requires competition, and therefore, informed and engaged consumers empowered by choice. Other industries like retail, travel and technology2 have adapted rapidly, and consumers expect the same in healthcare services. This isn’t about Siri replacing your primary care physician or Amazon’s robot surgeons replacing hips at Whole Foods. While we might get there one day, let’s dim the science-fiction fantasies for now and focus on the present reality. Once upon a time, patients may have had one choice - the community hospital. With the ongoing consolidation in the US market, super-systems now compete regionally for consumer loyalties. Today, consumers have a choice, and are influenced by the same drivers as other industries – a need for convenience and responsiveness.3 When we look at the evolution of digital tools like smartphones, convenience drives us. A zero-friction customer service model isn’t just “nice to have.” It’s absolutely necessary for acquiring and retaining consumer relationships. For patients, particularly those with ongoing care needs, convenience will reduce the burden of these interactions. One technique is to map the consumer’s journey, starting from the point at which they have a need for care. Try thinking from the user’s vantage point. Even if a process works well for you and your staff, it may not optimally address your consumers’ (or their families’) needs. When we walk in our consumers’ shoes, we better understand what they are thinking and feeling, and can identify new opportunities for improvements. Only when you understand your opportunities for improvement should you identify digital solutions. When you can anticipate your consumers’ needs and think holistically about their interactions with your organization across multiple channels you can design personalized solutions that make it easy for them to get the information and communication they need, at the right time, in the right way. Reduce the friction, make it easy for your consumers. To achieve this, involve as many consumers as possible in your design process. Connect with patient leaders through Patient Advisory Boards, or through organizations like WEGO Health and the Savvy Coop. Ask them to share their stories, and let them shape your diverse, realistic user personas. For those who don’t speak software, that just means your consumer experience must work for everyone, even outliers. Real life is messier than fiction, so let them inspire you to test your design in ways you wouldn’t have otherwise. And remember, your consumers speak many languages – emotionally, culturally and literally. Will everyone know what to do? Feel understood? Heard? Technology creates new possibilities for accessibility. It is the best of times, it is the worst of times. Providers that meet or exceed expectations will gain and sustain relationships with consumers. Sounds great if you’re a consumer, but do providers have the time to be heroes? They do if you leverage technology to automate their routine administrative and clinical tasks, so they have time to spend enriching patient interactions. Look for tools that enable them to focus on care and the interpersonal relationship, rather than data entry. But remember, technology can do A LOT more than automate. Think of a time when you talked to an old friend living 10,000 miles away, or followed a new friend on Instagram because they had the best kitten memes...we are delighted in these moments. Can you foster the same humanity between doctors and patients using technology? Digital tools have the power to improve communication in our relationships and foster partnership among consumers and caregivers. Today’s open, secure platforms for video and text-based dialog with “carers” (providers, family, friends) allow consumers to access care, share preferences, ask questions, and make shared medical decisions in the hospital or at home. Knowledge is [em]power. *Knowledge (noun), the application of information through actions. We need to transition from information-sharing to knowledge transfer. 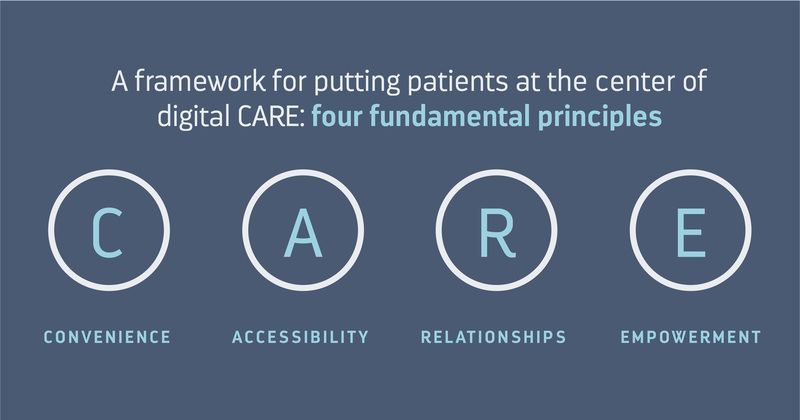 Patient portals are the standard patient engagement tool, thanks to Meaningful Use requirements. They give patients a view of some data captured in an EHR, but in many cases that information lacks context or helpful next steps about disease management. It’s not actionable. Tools that empower consumers impart knowledge to facilitate self-care, give context and ensure that patient preferences, fears and motivators are factored into a longitudinal plan of care. We live in an exciting time for innovation in healthcare, and I believe that digital technologies can help truly put patients at the center of CARE. 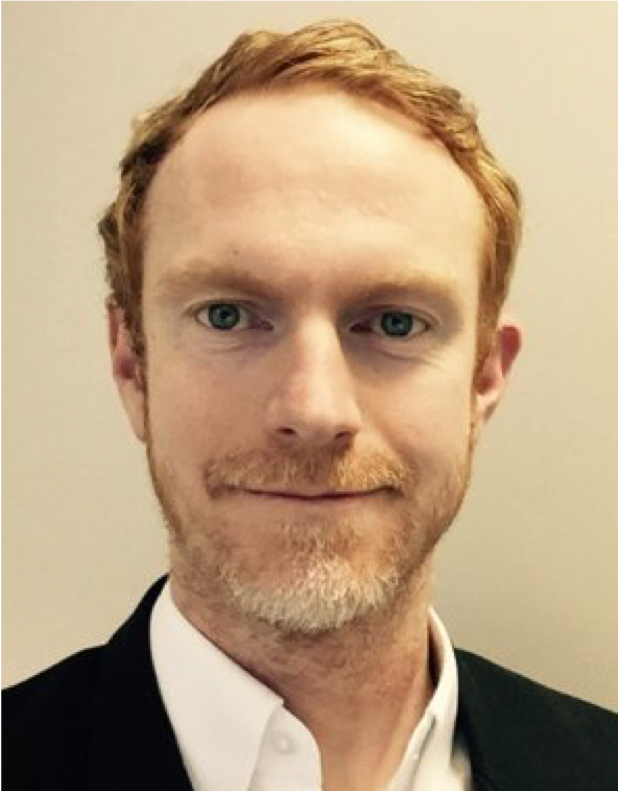 Niall O’Neill is the Vice President of Business Development at Oneview Healthcare, a health technology company focused on improving the experience of care for patients, families and providers. Based in Dublin, Ireland, Niall turned to healthcare after over a decade of management consulting in other industries with Accenture and Deloitte, driven by a belief that technology can make healthcare better for all.